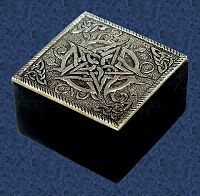 - This lovely unlined wooden trinket box is perfect for jewelry, tumbles stones, herbs and other small treasures. 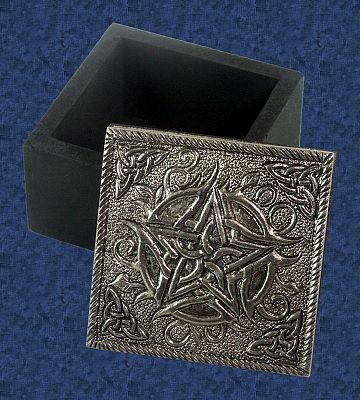 It features an exquisite metal lid with an embossed pewter-toned Celtic Pentacle. Box measures 2 1/4" square, and 1 1/2" tall. 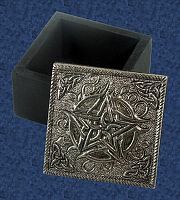 Do you have any other questions about our Tiny Metal Pentacle Box?